David Hopkin became well-known in Scotland for his pragmatic style of football which is akin to what Bradford City fans got used to under Phil Parkinson. It wasn’t anything spectacular, but equally, it was incredibly effective. During his time with Livingston, the 48-year-old’s long-ball routine saw his side routinely lump it up to his strikers and attempt to get his other attackers to run off them. It was simple, but it became a nightmare for defenders in the Scottish Leagues – and it saw the Scottish side gain back-to-back promotions from League One up into the Scottish Premier League. 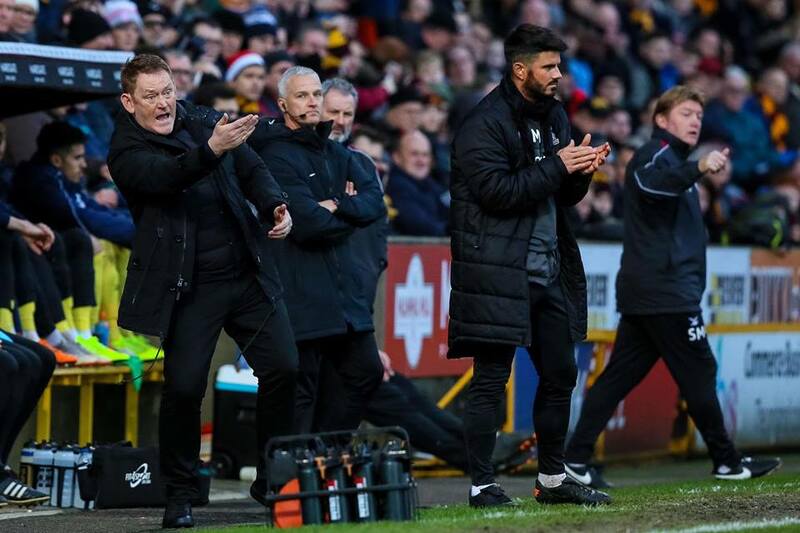 The Scotsman built his Livingston team to suit that style, but the interesting thing about his recent success with Bradford City is that Hopkin’s changed his philosophy, to suit a team that he’s inherited. Fans became frustrated with Hopkin during his first few weeks at the club. Watching the likes of Eoin Doyle and George Miller have to deal with long-balls was too much for some, on top of a toxic situation at Valley Parade and for many, it meant the jury was out regarding the manager’s credentials. Credit is due to the Bradford City manager though, he stuck through a tough period, he worked out his style and the ‘Hopkin Press’ has started to bring evident success to Valley Parade. Most importantly, the fans are really beginning to buy into the Scotsman’s work at Valley Parade – and it’s brilliant to watch. Inevitably, as we now find ourselves in 2019 there’s one thing on fans’ minds and that is the transfer window. We are all naturally going to grow curious as to who Hopkin will bring in. This will be his first transfer window at Bradford City. However, it will take on extra significance. This will be the first transfer window for a Bradford City manager in which he’s got full independence as such since Phil Parkinson, as the days of Edin Rahic’s transfer committee are a thing of the past. It’s to be expected that when a new manager will come into a club with their own philosophies and ideas, they’ll have a list of players who they will want to fit ‘their’ vision of Bradford City (See: Phil Parkinson and Kyel Reid, or Stuart McCall and Nicky Law). David Hopkin’s done so well recently with the tools he’s already been provided with, it’ll become interesting as to whether he brings in support for what we already have, or whether he wants a complete overhaul of his squad. It remains to be seen whether he’ll bring in the players that would support the style of play he endorsed so heavily at Livingston and will eventually move to a more pragmatic style of football; or whether he’ll stick with the free-scoring, defensively solid game-plan he’s succeeding with at present that’s terrifying defences in League One – I think most of us would prefer the latter. David Hopkin will of course have an idea of the players who he wants to bring in though, and it’s quite likely the club will have been discussing moves already, with it being clear he wants his business done early. Top of the bill is more than likely going to be bringing in a new left-back. Adam Chicksen has come in for heavy criticism from Bradford City fans recently, and with the squad’s turnaround and efforts on the pitch, he still isn’t showcasing the ability that fans were hoping to see in a world without James Meredith in Claret and Amber. A fast, energetic left-back who is prepared to slot into either a high-pressing system, or to also work as a wing-back when Hopkin chooses to rotate his team would be a brilliant signing. With the assurance Paul Caddis has brought to the Bantams back-line, it’s likely to expect that it’ll be an experienced left-back if one is to join during the window. Despite the troubles at left-back, something that concerns Bradford City fans at present is that our bench is looking very thin on the ground. Edin Rahic’s transfer committee brought in some very questionable signings in the likes of players such as Thomas Isherwood and Kai Brünker. Although the latter has become somewhat of a fans favourite with his hard-working displays, his lack of return in front of goal suggests that the Bantams could do with looking to bring in a strong, experienced target man similar to the likes of Jon Stead or Jamie Proctor. Somebody who can contribute goals to the squad, but equally offer an alternative dimension to both Eoin Doyle and George Miller would be welcomed at Valley Parade. George Miller won’t be able to consistently produce the displays he’s been doing at the energy levels he’s been displaying week in week out, and we need a back-up plan in case of injuries. Another option on the bench would be brilliant. To expect Hopkin to pull out a striker who’s fast, offers a big physical presence and can also add goals to the team would be unreasonable, but if somebody can add two of those to the current squad; it’d be a brilliant piece of business. The Bantams aren’t short of creative ingenuity with the contributions of loanees David Ball, Lewis O’Brien and most notably Jack Payne in recent weeks. But, if David Hopkin was to want to change his formation or wanted to play wider on larger pitches, he could do with the option of a winger. Somebody in the mould of Kyel Reid or Mark Marshall, who can get at defences and has the energy levels to fit into a high pressing system Hopkin’s has endorsed would be an excellent acquisition. Nathaniel Knight-Percival has been consistently inconsistent during this season thus far, and with Thomas Isherwood being the only other option at centre-half besides Ryan McGowan and Anthony O’Connor – it would be sensible to bring in another player who could offer a calm and reassuring presence at centre-back. The introduction of Paul Caddis has brought a real steeliness to the Bantams’ back line and a big warrior in the heart of central defence and the presence of mind that the likes of Andrew Davies and Matthew Kilgallon displayed would be a valuable coup. There will be the players out there to bring in; it’s just a case of hoping we’ll be able to do so in a highly-competitive January window. Jack Payne, Lewis O’Brien, David Ball or all three? It’s glaringly obvious that these three players have all been excellent loan signings. As Stuart McCall said a few weeks ago, Jack Payne is probably one of the best players in League One and it’d be a huge signal of intent if we were to bring in the incredibly talented attacking midfielder. His Huddersfield Town counterpart Lewis O’Brien, who was once seen as the most uninspiring signing of the season, has been a revelation and has played well beyond his years in the middle of the park. It’d be gigantic if we could prise either player to make the short-trip to Valley Parade on a full-term basis. David Ball has equally been impressive and has fit into Bradford City’s squad like a glove. If Rotherham see him as surplus to requirements, he’d be a great addition on a full-term basis; but as many will expect, there’s likely to only be so much we can spend. Shay McCartan is performing well at Lincoln City and it’s reasonable to expect that we may need to call him back, should one of our three star loanees return to their parent clubs. But if we could hold onto the above three until the end of the season at least, it would be fantastic. Stefan Rupp is prepared to spend money and to back David Hopkin. This should make Bradford City fans feel optimistic and also excited in this transfer window. The club will have learned lessons from last year’s January window and the presence of Julian Rhodes will certainly make a huge difference. Expect several new bodies at Valley Parade – and enjoy the ride; it’s going to be an interesting one! The turnaround in form has been remarkable and with it people have stopped questioning DH’s managerial capabiilities. The standard of football on display is brilliant and in complete contrast to the much feared Route One approach that he was associated with in Scotland. Whilst DH deserves considerable credit for his tenacity and motivational skills I do wonder to what extent the new tactics have been encouraged by Anton McElhone about whom little has been said. Caddis has made a massive difference but there has also been a lot of change behind the scenes and not just the disappearance of Edin Rahic. I think McElhone will certainly have had a massive impact; I should probably have mentioned him in this in fairness – but think his arrival was so low-key it has certainly been easy to forget about – he’s definitely got a brilliant pedigree! Caddis has been brilliant. A proper leader who was needed when the squad lacked direction – an excellent acquisition from DH. With regards to playing style – Hopkin’s football has been possibly even better than the football McCall got us playing during the 2016/17 season. This team have become a real joy to watch. I think Hopkin will definitely stick with this brand of football and also I feel we’ll continue to rise up the league as we continue with it being our new brand of football. Finally, regarding the disappearance of ER – it’s certainly helped – but think the arrival of Julian Rhodes has had a huge impact and also the fact Rupp has been in and around the club will have been a big boost for all at Valley Parade. I think he’ll become much more involved after the way 2018 has generally panned out. All in all, brilliant things to look forward to, an exciting transfer window lies ahead (bar the issue of potentially losing Payne) and also we now have an identity once again. We’ve got our City back! It looks like Payne is 90% leaving with Huddersfield probably recalling him shortly, so that’s a blow. With this change Hopkin might then change tactics because I cant see us getting a replacement half as good as Payne in this window. I’d take O Brien over Payne any day of the week. I want both. We don’t know if O’Brien makes Payne look good or vice versa, but it looks like we will soon find out, probably at Barnsley. If Payne does leave I hope O’Brien still plays as well as he has done. We have Scannell to come back…. he could fill in the Payne gap maybe? Me and a friend discussed this during the last game. I think we should give him a shot in that role for sure! During Abysmal Rahic’s Shambolic Executive time not one person at Bradford City could shine. It seems clear that Hopkins and Rhodes were brought in through through the same door that Rahic was shown, but the poisonous baggage took some moving. We have already seen Hopkins and his staff turn the no hopers, that was the Bradford City team, into the best team in the league, over barely a month. Who’s to say those we’ve loaned out might not come back and prove to be some of City’s best players in a team not crippled by A.R.S.E? I think Jake’s article is a fair wish list; but I am now so giddy with hope I actually believe Hopkins and his new staff can make a team I’ll love from whatever they have: sign, sell or loan. In my humble opinion, Wood should be starting ahead of Chicksen based on performances this season. What is happening with Tyrell Robinson? Pleased to read about the forgotten man that is Shay McCartan who has scored four goals at Lincoln City so far this season. It would be superb if we could sign O’Brien, Ball and Payne but I don’t think that will happen. If the budget only allows us to sign one of them on a permanent basis, I would choose O’Brien. I would also loan out Josh Wright. Robinson is in the midst of a criminal procedure, on a charge I believe is yet to be laid. His contract was suspended subject to court result. If it turns out there is no charge to answer then he’ll be back relatively soon. If it goes to court then he’ll not be playing for us for a while. If he is found guilty he’ll not be playing professionally for a while, if ever; and his former employers may be under some scrutiny. A left back would be nice but to suggest that it’s more of a priority than a winger or a target man is just plain daft when we already have two who Hopkin seems quite happy with. Perhaps a slight oversight on my behalf – though I do think a left back is the weakest position in the team at the minute. I think we need someone there with a bit of experience and know-how (in a similar mould to Caddis) – but yeah to say it’s a priority is probably a bit much – we need more and better squad players really. Unfortunately we have this season become over reliant on loan players. In short our best players don’t actually belong to us. That’s quite a statement if you stop to think about it. The modern game seems to revolve around short term contracts and loan signings, and the nett result of that is that you end up with a team that either has no real feel of belonging to the fans, or the actual contracted players are looking at the way out after 18 months, if successful, because the owning club cannot afford for the full contract to wind down and no cash reward. So towards the last six months of the contract the club is tempted to cash in. 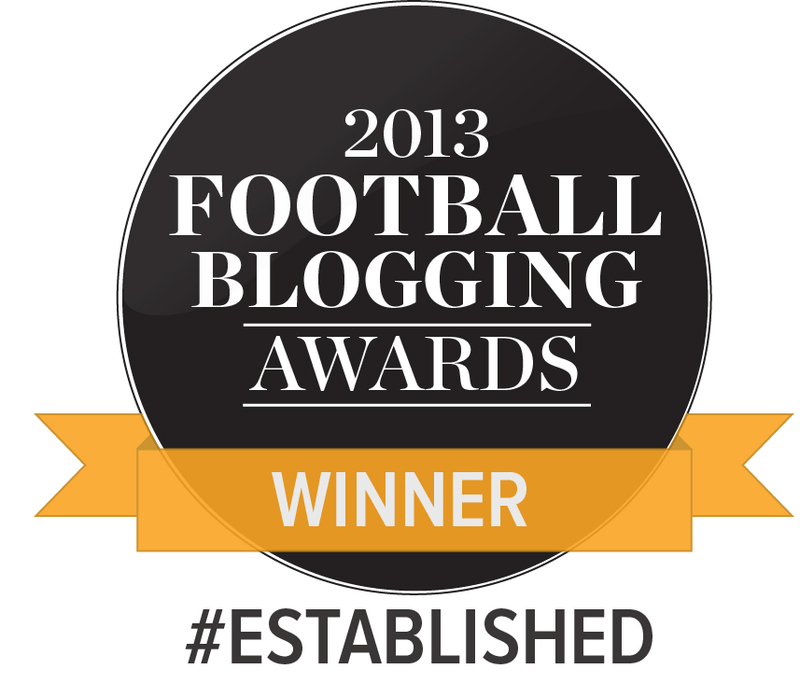 So we accept that the days of one club players and ten year testimonials are a thing of the past now. But do we not also think that something has been lost in the process, and when things are not going well, as they were a few weeks ago, its easy for the fans to think of the team as distant, with no fan/team connection. And that is where the Rahic plan, though unrealistic, had some value. The thought of a young team developing before our eyes has some appeal. The thought of the fans and team together, as one, with a `connect` is an ideal, however not a realistic ideal in the modern game. So we look at new players coming in, but will they still be `our` players in `our` team in12/18 months time? An interesting point Mark. This is why I’d love for us to sign David Ball or even moreso Lewis O’Brien. They’d be two excellent signings and I think they fit the Bradford City mould. Get ready for the jock invasion,let’s hope we can unearth a few gems from across the border that’s where DH has been for the last few years so that’s what he will be shopping.